Who Would Lose Track of a Moon Rock? Upon landing on the Moon, Neil Armstrong’s first mission was to reach down and grab some rocks and dust in case an emergency takeoff was needed. Upon a safe, and thankfully nonemergency return, these and other samples gathered from humanity’s first trip to the Moon were sorted and saved. 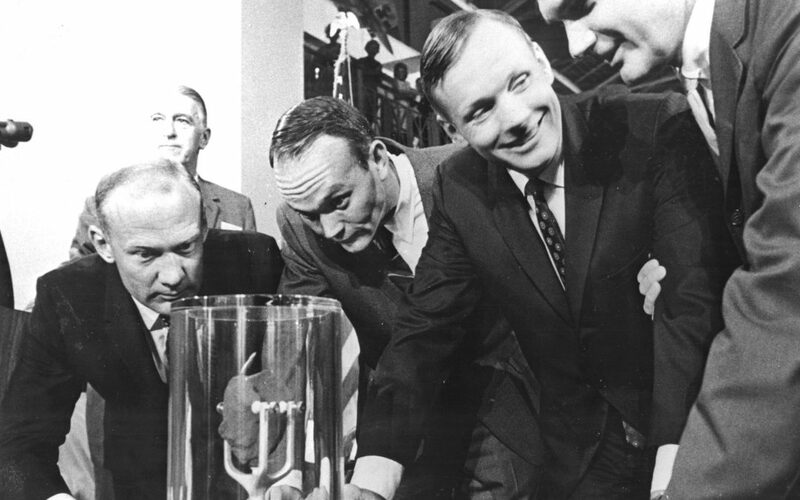 In order to celebrate the universality of this human achievement, tiny lunar samples were presented by the US government to 135 countries and all 50 states. In the US, the “goodwill” rocks were displayed in State houses, Governors’ offices and museums around the country. And over the years many of those tiny rocks were forgotten, misplaced, even stolen. Forty states (and 70% of the countries!) had lost track of their rocks. Enter the Moon Rock Hunter. That’s what Joseph Gutheinz calls himself. After more than a decade of work, he’s closing in on his goal of finding each of the Moon rocks gifted to the States. We often assume things of historical and cultural significance are being kept safe. The reality is that doesn’t happen without systems in place to keep the important things from getting lost, stolen or destroyed. For All Moonkind is developing a management and registry system that will preserve and protect sites and artifacts in outer space – such as Tranquility Base and Neil Armstrong’s bootprint – in balance with exploration and resource utilization needs. So that no one in the future needs to declare themselves a “Moon Landing Artifact Hunter”. Good luck Joseph Gutheinz on finding the last two rocks of the States’ collection! Click here to read more about this topic! Look out for the Bunny Girl! For All Moonkind, Inc. is a 501(c)(3) non-profit organization that seeks to protect each of the six human lunar landing and similar sites in outer space as part of our common human heritage.